Home FASHION	What Do You Mean They Don’t Have Soup Dumplings Here? What Do You Mean They Don’t Have Soup Dumplings Here? 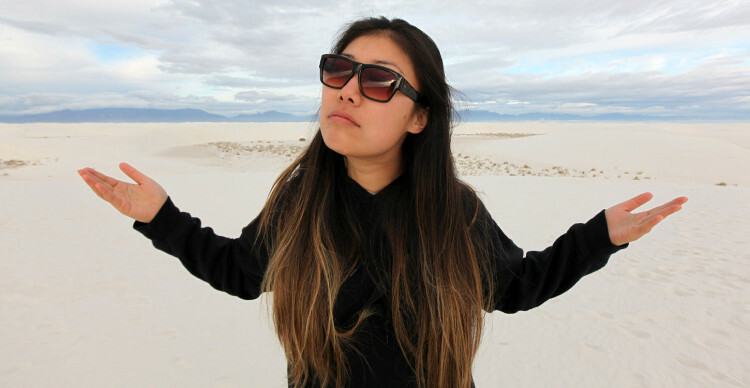 I’ve got a slew of flicks from New Orleans, Austin, Marfa and Carlsbad, but this shot from White Sands was too good not to share immediately. The park is arguably one of the most beautiful, jaw-dropping places I’ve ever been in the entire world. More on this later, but let’s just say if I could have soup dumplings (my favorite eats) here, that would be my idea of heaven. Canadian born Chinese currently living the American dream. Massively passionate about all things beautifully designed, sports+fitness and unique stories that help shape our perspectives of the world. Life-changing meals and exotic passports stamps are some of my greatest vices.